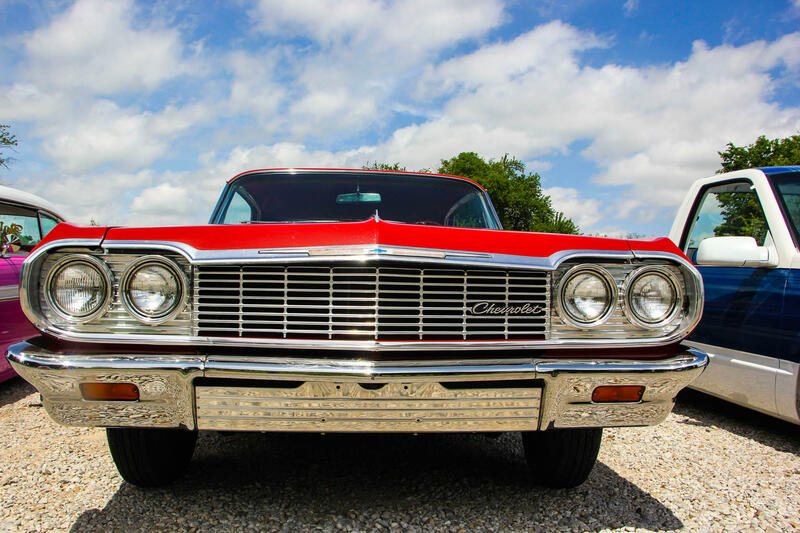 The United Lowriders Association in the D-FW area showcase their cars at family events and community benefits. Jimmy Lopez is behind the wh­eel of his restored 1972 Buick Riviera, hitting the ground to get low and to go slow. It's sleek and shiny and orange. A chandelier sways as he drives through a park in Oak Cliff. Lowrider cars tend to get a bad rap. Just ask the owners. Sofia Barron, Michael Bush and Sonia Lopez are part of the United Lowriders Association. They say people who drive the cars are stereotyped as "gangsters," "lowlifes," "gang members" or just plain trouble. The Dallas-Fort Worth association has about 20 car clubs in the area. It was formed 15 years ago to create a supportive community. It was also created to challenge common lowrider stereotypes — like those you'd see in movies and television shows. For Sofia Barron, lowrider culture is about more than just the cars. “It’s about family. It’s about being together, showing our children what the car club is about. It’s really an art. It’s an art form; a way to express and de-stress," Barron says. During the week, she’s a nurse, and on the weekends, Barron cruises her sporty, bright red Impala. She’s loved hot rods ever since she was a kid. For Barron, her car is her identity. “It represents you and who you are: your personality, your history, your story," Barron says. And the history is passed down. Before they can even drive, kids are welcomed into the lowrider culture. They start with lowrider bicycles — customized bikes inspired by the cars. 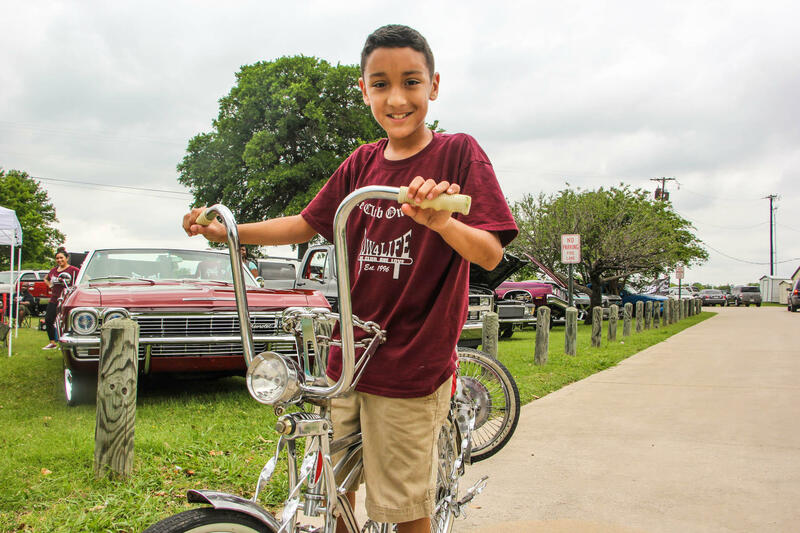 A young boy at the United Lowriders Association Easter event rides around on his lowrider bicycle. This is what Jimmy Lopez started with. He’s the leader of the United Lowriders Association. For him, the lowrider culture created his love story. It’s how he met his wife, Sonia, when they were in high school. “Well, I had my lowrider bike, and I was trying to get with her and see her. I didn’t have a car then. She had to hold her knees up; they were barely touching the concrete. But we made it," he says. They also made a family, and they raised their son, Jimmy Lopez IV, in the lowrider world. Now, the 29 year old drives a 1985 Monte Carlo convertible with a special message in the interior. “Since [age] 2 or 3, I’ve been riding in his backseat — until I grew up and got my own," Lopez IV says. "If you look at my backseat, it says ‘My family comes first.’ I got that embroidered in my seat." For the Lopez family, the lowriders association is a family. 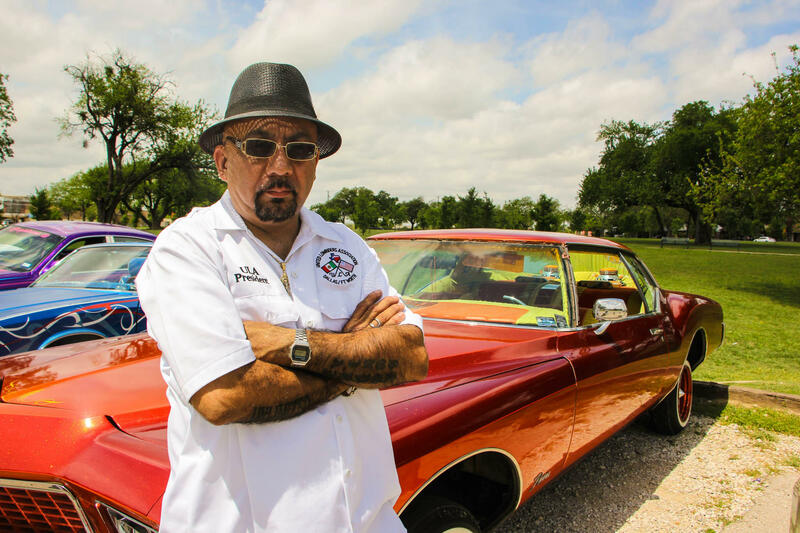 Jimmy Lopez is president of the United Lowriders Association. For him, lowriders are all about family. Members of the association hold special events like their Easter gathering at Flag Pole Hill Park in Dallas. They gather together to hang out, grill food and cruise their cars. During the holidays, they organize toy drives for hospitals and the Dallas police department. They also hold benefits for cancer patients — something Jimmy Lopez knows firsthand. His wife had cancer, but she's now a survivor. 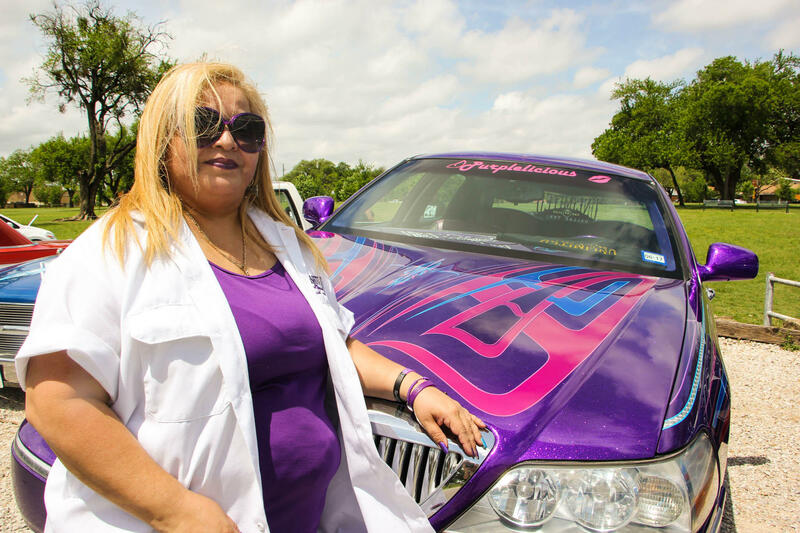 Sonia Lopez, Jimmy Lopez's wife, leans on her car she named 'Purplelicious'. “Other car clubs got together and did a car show for us, in honor of us. Everything that was made went to us. That’s why you do benefits. You help out when you can,” Lopez says. His lowrider family has kept him going. So has his old school Buick Riviera. It has taught him some lessons — like life isn’t about speed. “If you see, I don’t have a speedometer right here. People always ask me, how do you know how fast you’re going? I don’t need to know. I’m going cruising. I’m low and slow," Lopez says. For Lopez, life is about taking it slow — with style. Jessica Diaz-Hurtado is an NPR Kroc Fellow. As part of her fellowship, she’s spending several months reporting at KERA.